Do you have an upcoming graduation to celebrate this spring? 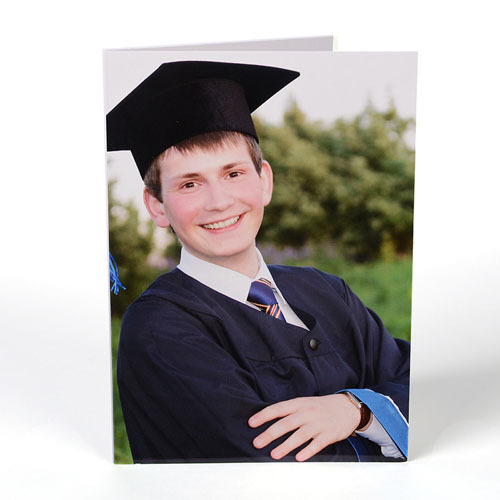 No matter who the graduates are, they will surely be impressed by this personalized graduation congratulation card custom printed with your favorite photos of the graduate and your personal greeting message. 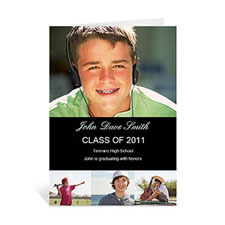 Our high quality 5x7 folded photo card, with its gloss finish on front and back gives your photos sharper and more vivid colors. Inside of the card is matte so you can write on it. You can easily design all four sides of your cards with text and picture using our online editing tools. 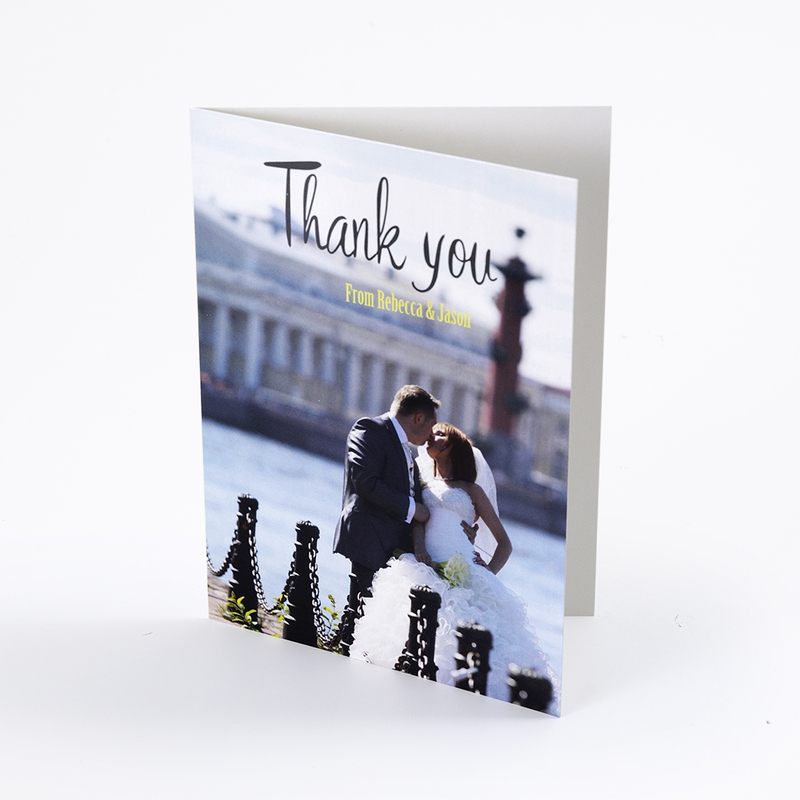 Before placing order, you can view an instant full colour preview of your personalization so that to know exactly how your cards will look like. 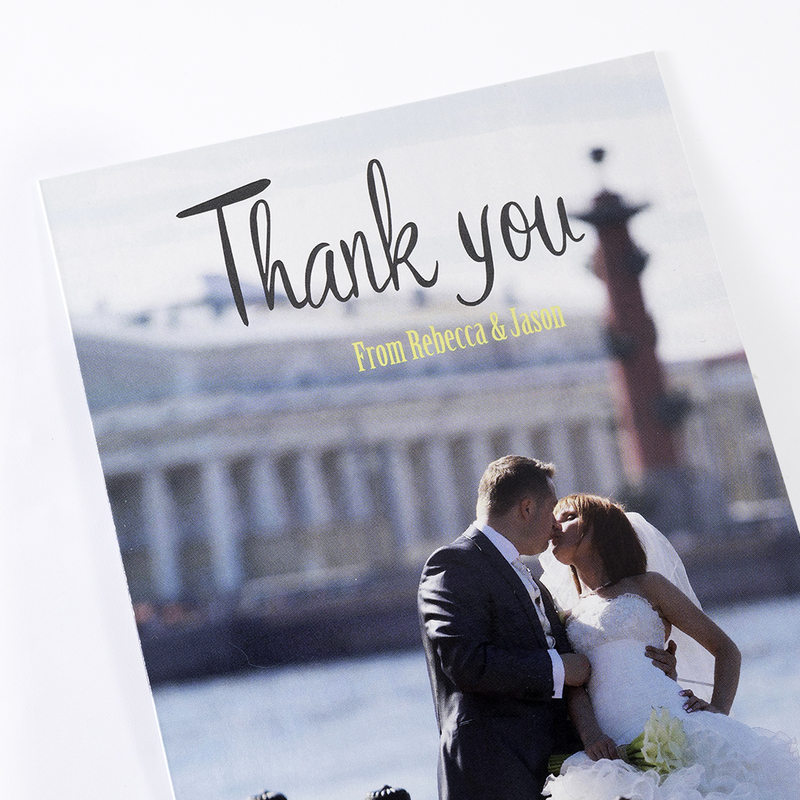 Each custom greeting card comes with an envelope. Sold individually and no minimum order required. 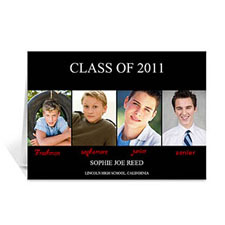 Cheap photo cards work great as senior graduation photo cards, graduation thank you cards for teachers and graduation congratulation cards .